I am not a big fan of breakfast and can be picky when I go out and eat breakfast at restaurants. 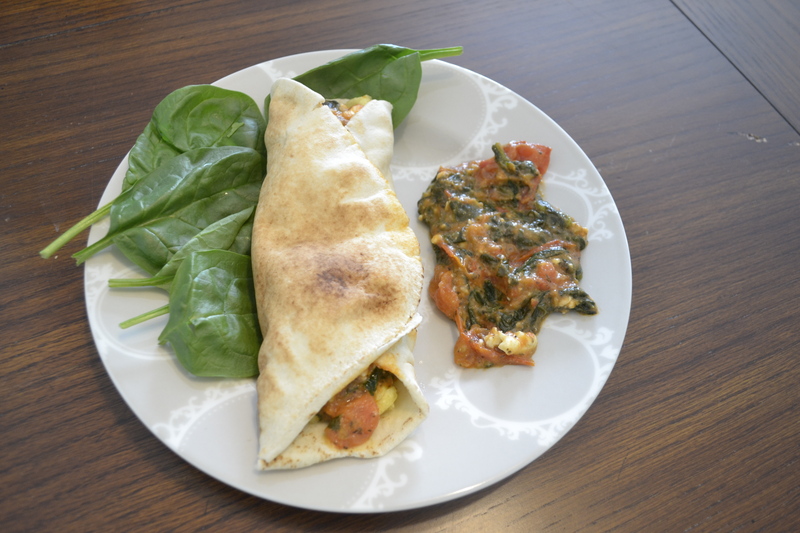 I usually go with something safe like french toast or pancakes, but when I was out once having breakfast with my grandparents I accidentally tried something similar to this egg spinach wrap. It’s flavor and ingredients were very different but had the same concept of the recipe I have come up with! of tablespoons of olive oil into a pan and put it on medium. Cut your tomatoes into large chunks, about 4 pieces each. Place them in the pan with the olive oil and let them saute about 15 minutes so they are saucy. 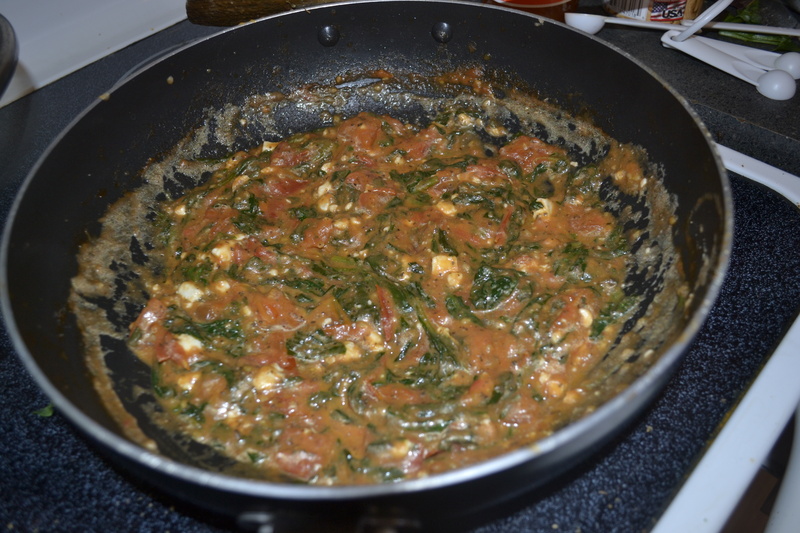 Add your fresh spinach and also let that cook for a couple of minutes until it has broken down. Add your basil, salt and feta cheese. Mix all of that up just until it is blended together. pour your egg into the fry pan and DO NOT SCRAMBLE IT! You want to make it like you would if you were making an omelette. 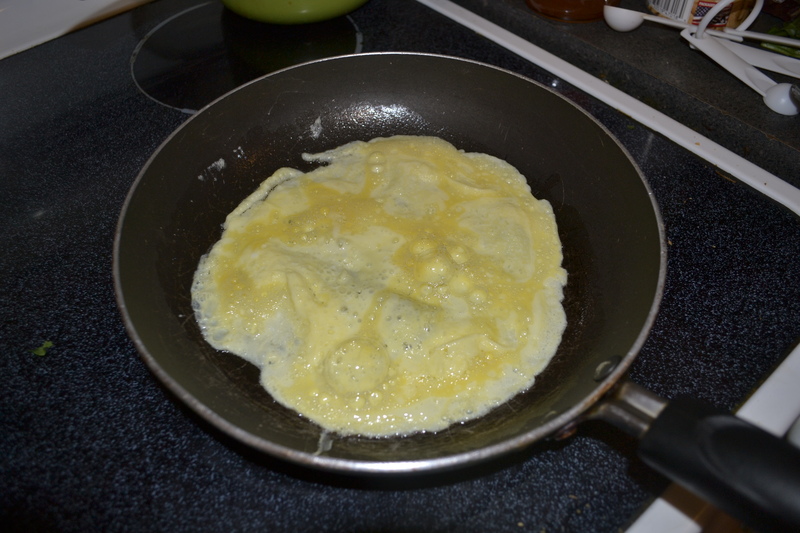 When your egg is cooked you will want to fold it over and place it on the pita bread. Add the spinach and tomato sauce on top! ENJOY!!! OMG…looks yummo…I’m on a spinach kick lately…perfect!!! Hope you are well!! yumm spinach is so good! All the ingredients stocked and ready ..including some fresh basil out on the patio. Surprise sweet Terry this morning with a real breakfast treat. Thanks for the inspiration and recipe! Awwe that is great! Sure JoHanna! Hello Lynz, I am not so sure if you get a ping-back, but I featured one of your recipe posts on my blog post. Thanks so much, I didn’t know that!! I’m a big spinach fan. I like to use it frittatas, but these spinach wraps seem like an excellent idea as well. Great breakfast idea, so simple and easy recipe! I would definitely try this!